These 0.1 μF 100 V ceramic capacitors have many uses, including noise suppression on motors. 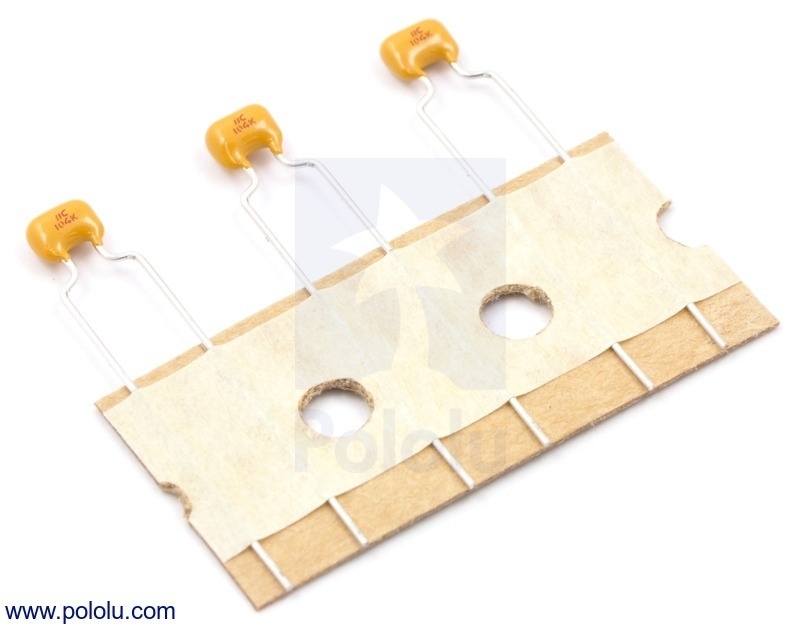 The leads are formed with 0.2" spacing for easy breadboard use. You can see more information about noise suppression in our motor driver application note.